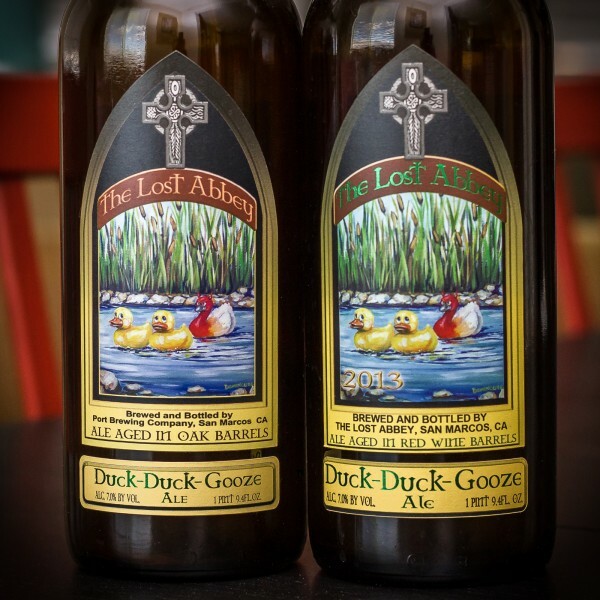 (San Marcos, CA) – The Lost Abbey returned from Denver’s Great American Beer Festival with a new accolade for Duck Duck Gooze. Duck Duck Gooze, The Lost Abbey’s red wine barrel-aged sour, took home a silver medal in the Wood and Barrel-Aged Sour category. A blend of one, two, and three-year-old blonde sours, Duck Duck Gooze has been one of Lost Abbey’s more sought after and recognizable creations, having only been produced three times. The next version of Duck Duck Gooze is set for release in mid-2019; details for the sale and pickup have not yet been finalized.